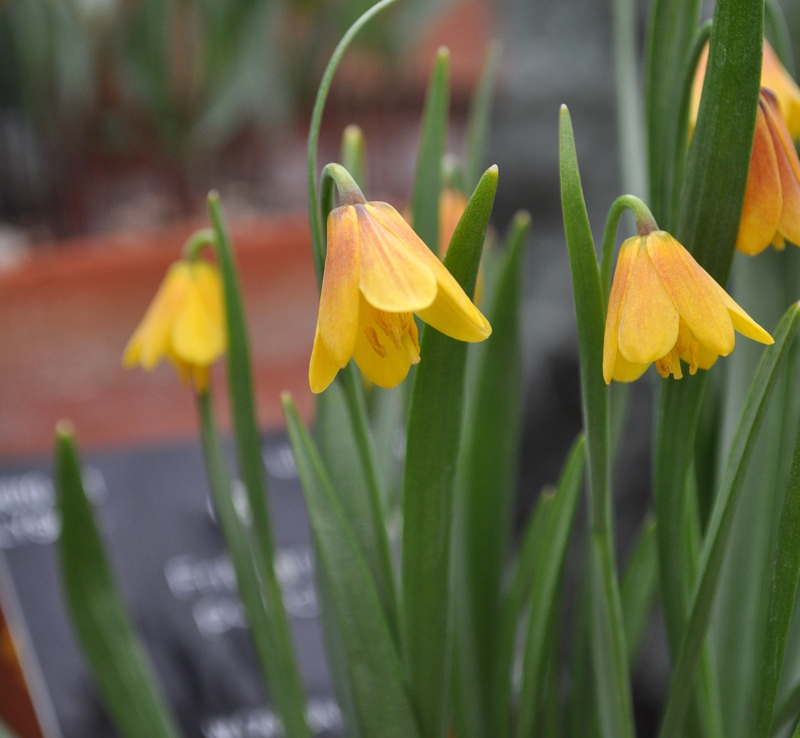 A Grand Day out at Kew Gardens. : The Alpine House into the Palms House.. 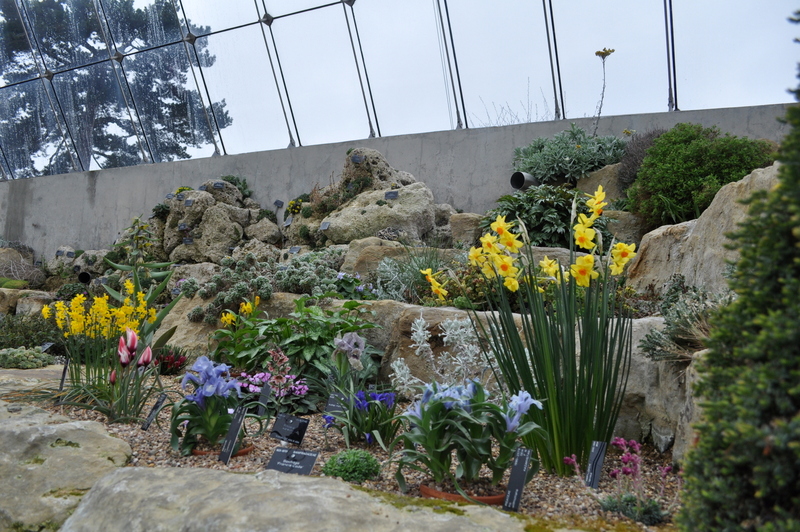 Following on from my last Kew post, after I left the Princess of Wales Conservatory, you find yourself at the start of the rock garden with Alpine Plants and the fairly new Davies Alpine House, which is the latest addition to Kew’s glasshouses. 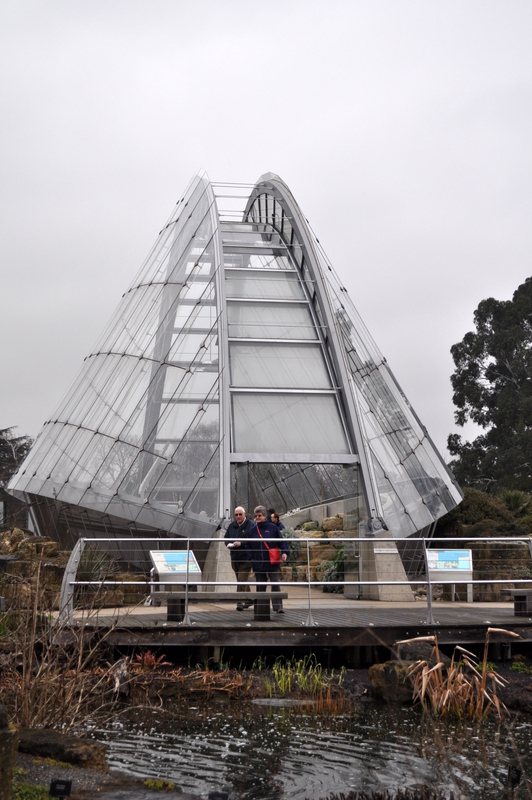 It opened in 2006, the first new glasshouse to be commissioned for two decades. 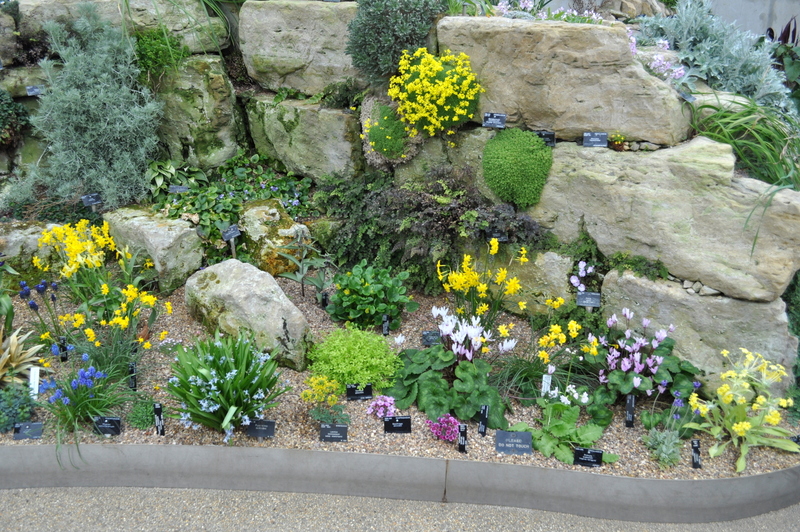 I was surprised to find not many Alpine Plants showing well though out the rock garden, so I spent most of my time in the Alpine House. 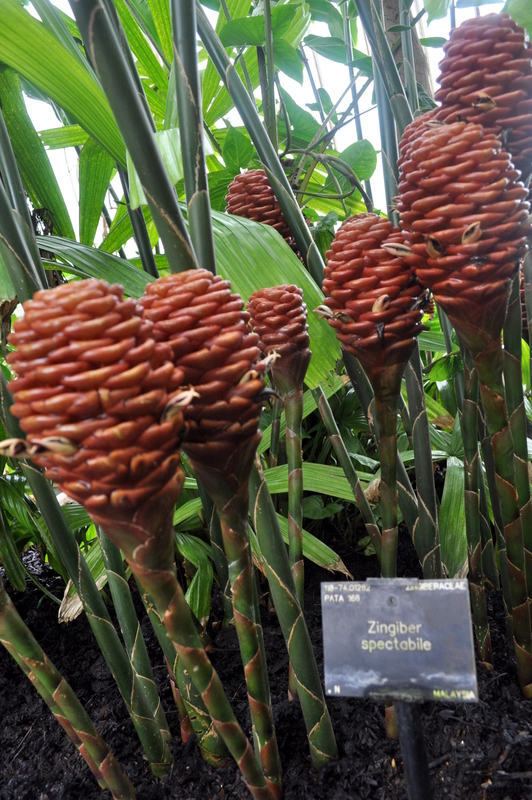 The following text is taken from the Kew Website. 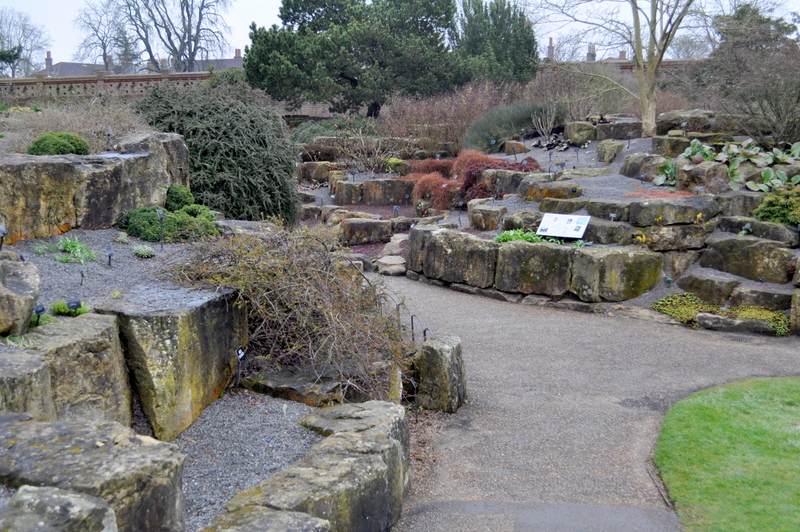 Rock Garden, waiting to come to life. 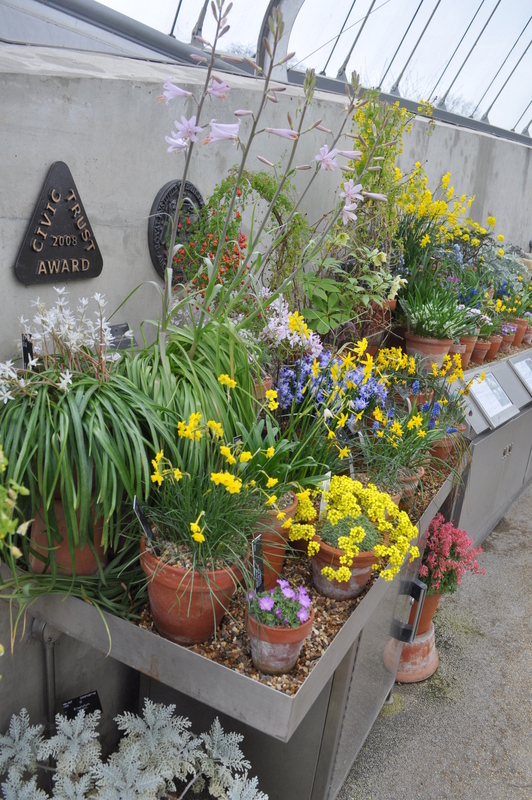 Inside the Alpine House, there is a small planted section, and two areas where plants in pots are bought in whilst they look at their best. A lovely little planted out area. 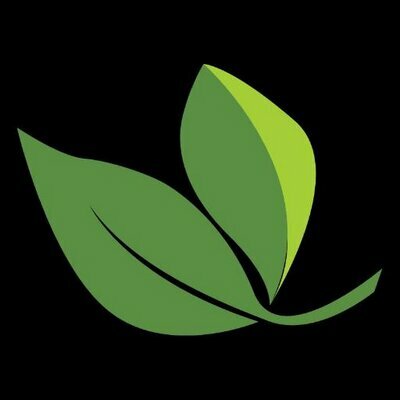 Some plants planted, some plants plunged in pots. 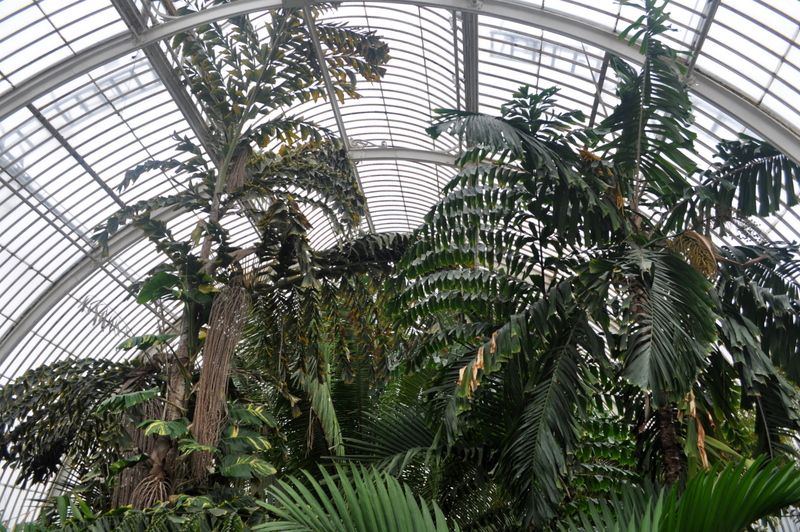 After this greenhouse I headed off at a mean pace to what I consider to be Kew’s jewel in the crown, The Palm house. 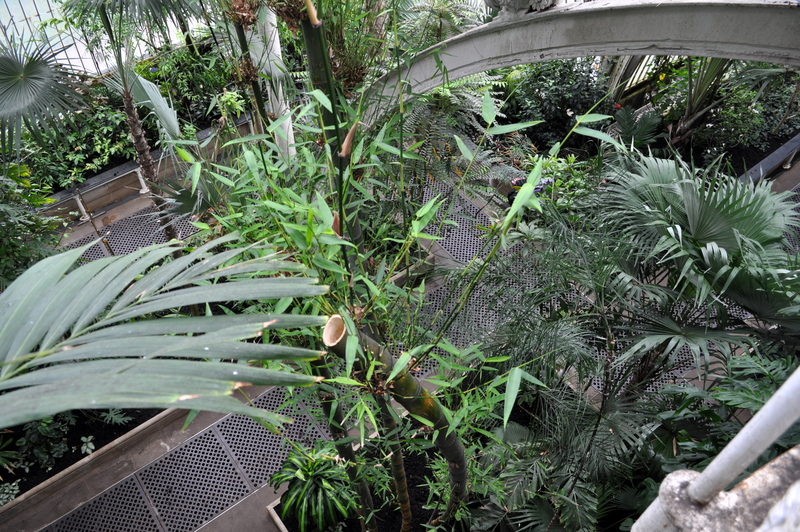 The Palm House has 3 levels that you can walk on, ground level, a lower ground level where there are fish tanks, and an upper lever where you can walk around a walkway looking down on the plants. As there were lots of kids in this Greenhouse, I decided to give the underground level a miss and stick to the planted areas. 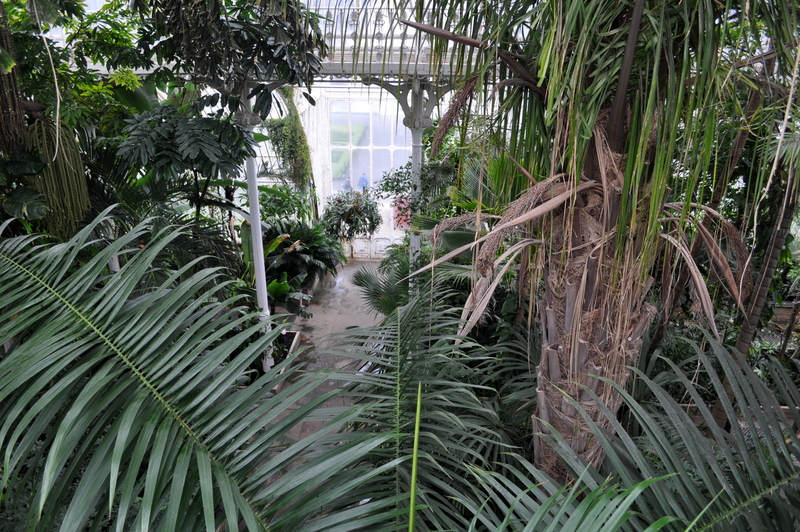 I entered the Palm house at one end and left by the far end, the biggest section is in the middle. 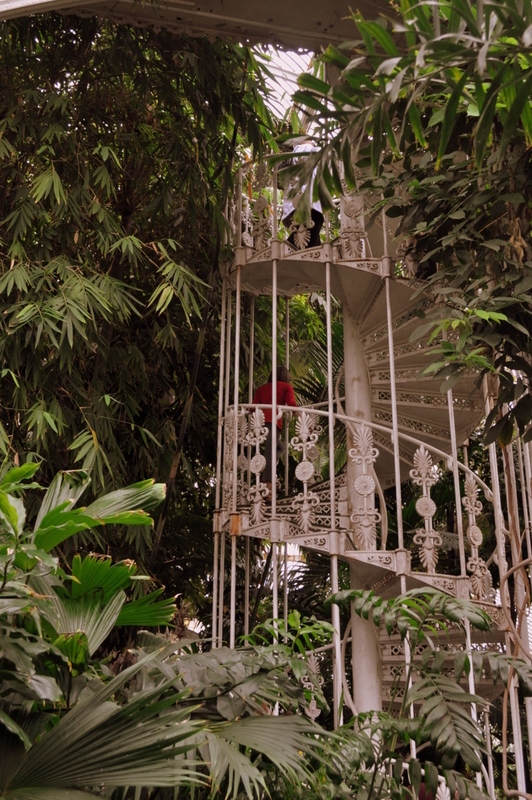 A Spiral Staircase to the upper walkway. View from the upper walkway back along the narrow section. Looking down still on huge palms. View through the roof along the other narrow bit. 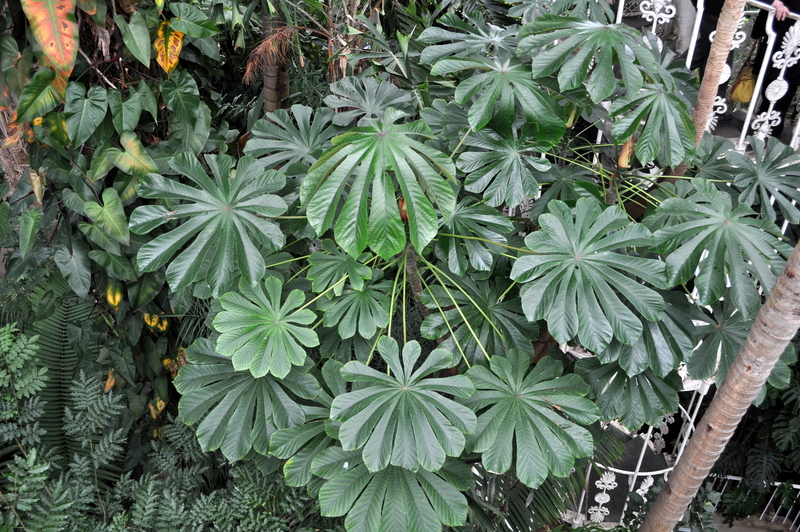 This beast lives under the central dome of the Palm House. 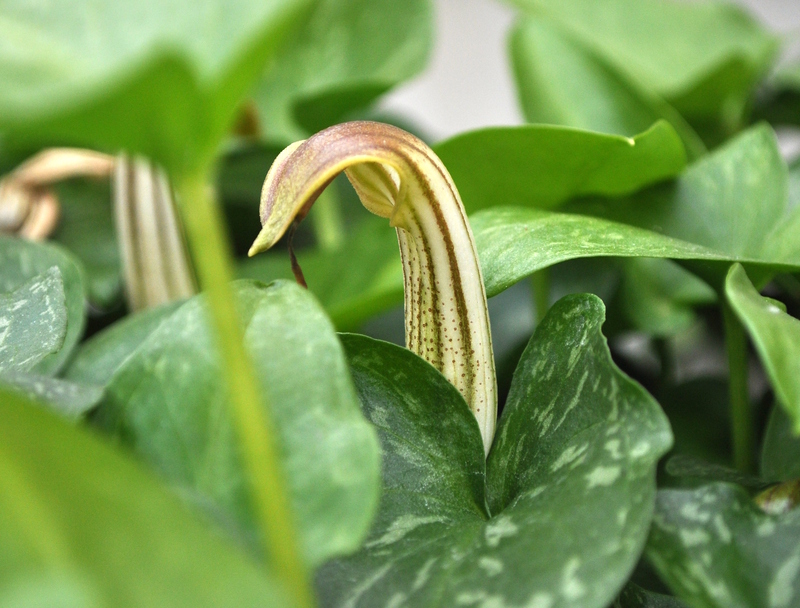 It’s An Attelea speciosa. 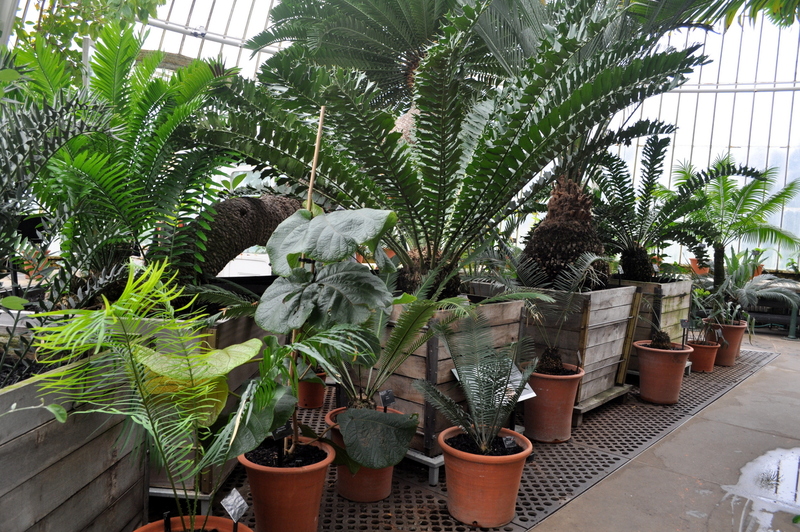 The far end of the Palm House has some Cycads in pots. Then I found the doorway out into the fresh air. 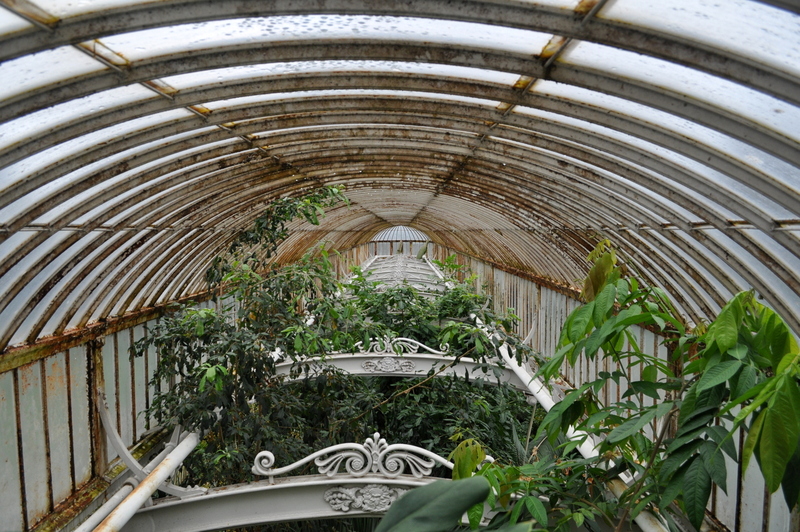 Onto the next Glasshouse, The soon to be closed for renovated Temperate House. 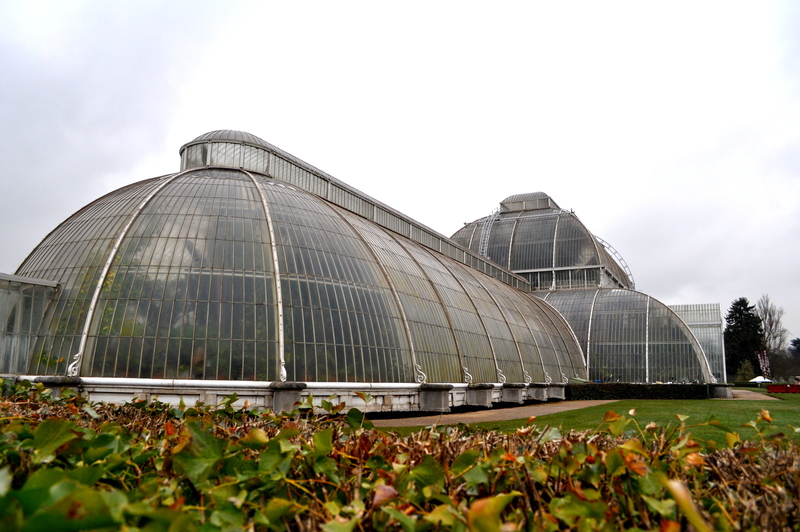 Part 1: A Grand Day out at Kew Gardens. 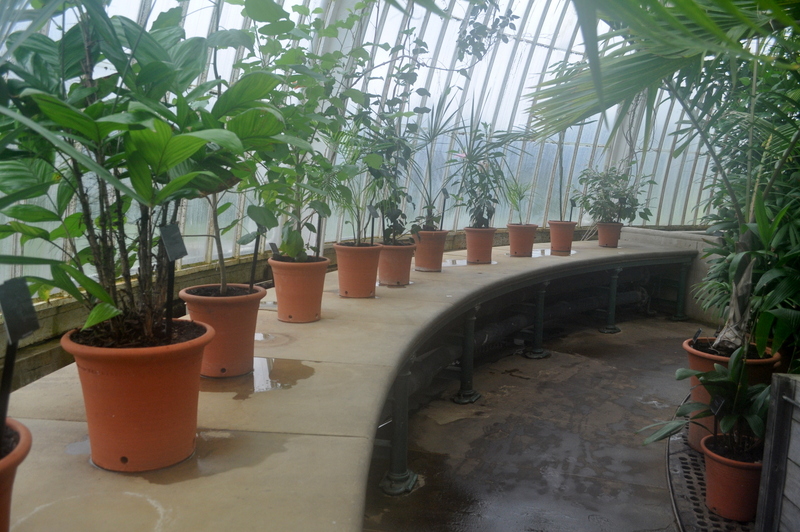 Part 3: A Grand Day out at Kew Gardens. You are so fortunate to have such an outstanding facility. Your photos are quite amazing and I really enjoyed your post. 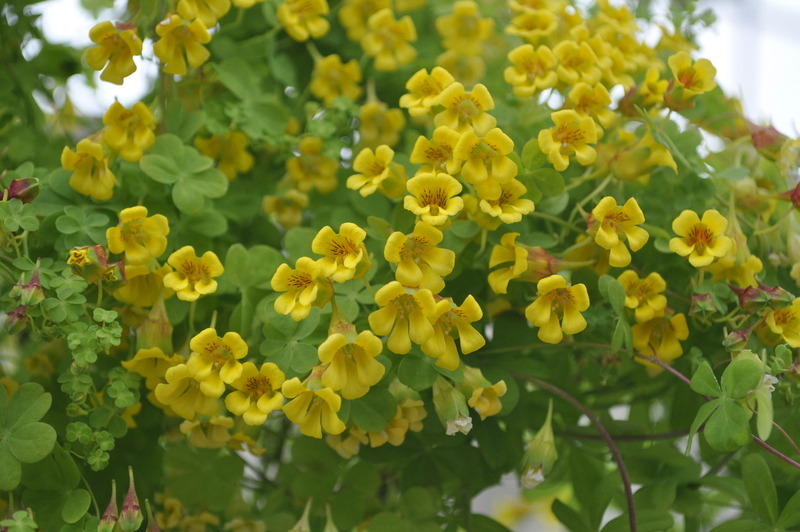 Thank you for sharing your trip through the garden. 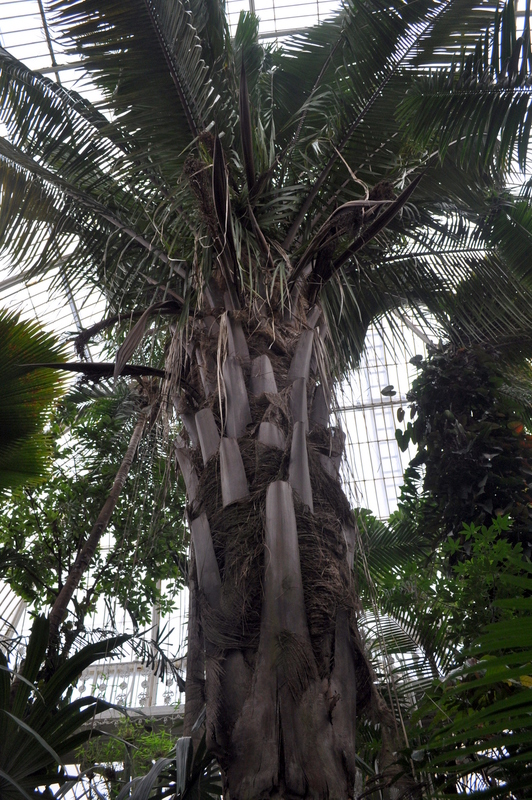 The Palm House never ceases to amaze us, over and over again! 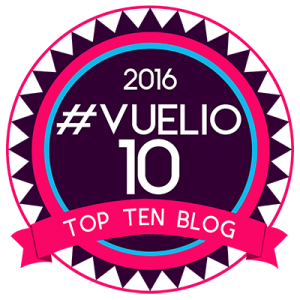 Wow, thanks for sharing: that was really something!